Easy Christmas Gift? Try a Remedial Massage Voucher from Mobilise Remedial Massage Brisbane! 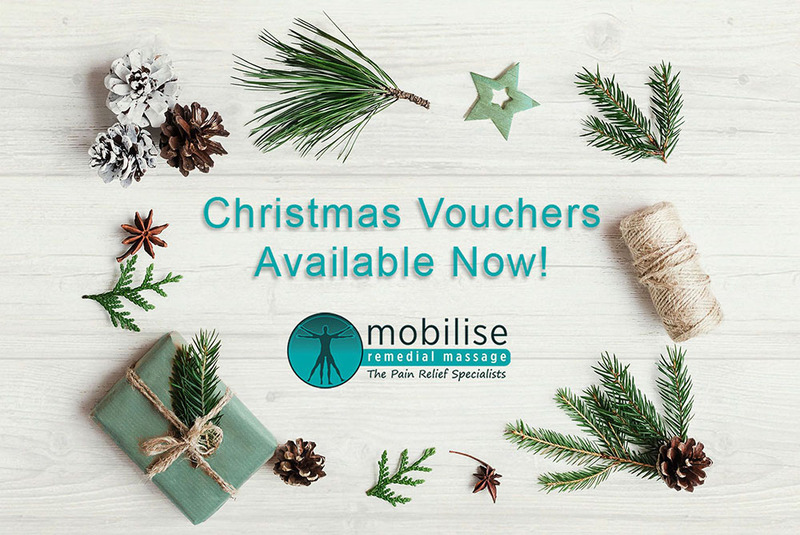 Call us on 0473 090 442, email us or drop into the clinic anytime up until 4pm Christmas Eve, to pick up a gift voucher for your loved ones. A really knowledgeable and safe massage for people with other conditions, such as cancer or autoimmune disorder patients. Myotherapy: an advanced form of Remedial Massage. All our Myotherapists hold a Bachelor Degree in MST or Myotherapy, and can offer you a comprehensive assessment, treatment and rehabilitation program, Fantastic if you want a safe and knowledgeable treatment from an expert. Sports Massage: either from a Myotherapist or a Remedial Therapist depending on what your body needs! So drop us a line today, and let us take care of your nearest and dearest with a wonderful massage treatment at Mobilise!